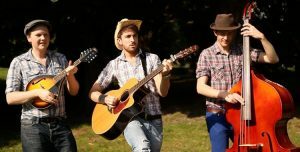 The Cotton Piccadilly's are a London based bluegrass and pop trio playing pop hits with a twang. The band are happy to travel throughout the UK and are perfect for some background music at a wedding, party, picnic or event with a country styling. The band are able to wander if needed so are perfect for a drinks reception or informal event where entertainment is needed all over. 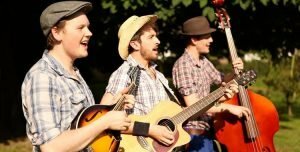 They offer an up tempo bluegrass vibe which is great for sing a longs. The band can also amp up if needs be using a PA system to get some real foot stompin' goin' on. 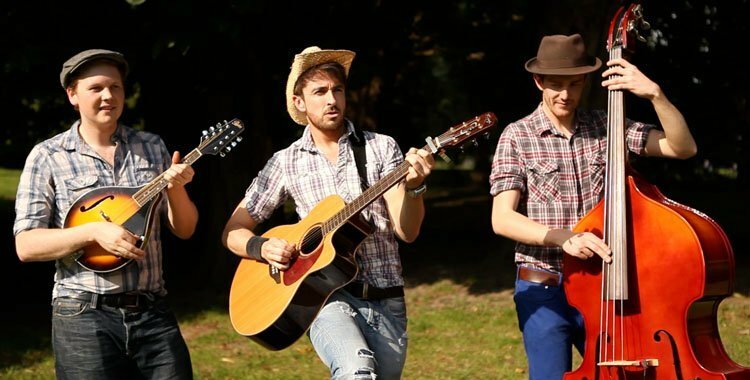 The line up consists of a lead vocalist with acoustic guitar, a mandolin player with backing vocals and a double bass player with backing vocals. The guys are based in London but willing to travel so let us know where you're planning your event and we can organise travel costs. Want to get the party started? MK3 - Hampshire based wandering trio. The Boots - London based all singing all dancing walk about act. The Mariachi Band - London based Mexican and mariachi themed pop covers. For more wandering acts check out our 'Wandering Bands' page.